It’s impossible to miss The Archway museum, a.k.a. the Great Platte River Road Archway Monument, when traveling on the I-80 through Kearney, Nebraska. You seem to be in the middle of nowhere, when suddenly a huge wooden structure spans the highway. Signs exhort you to take the next exit and visit, but offer little explanation of what can be found there, and what it’s doing in the midst of the rural Nebraska prairie. If I’ve learned anything from my travels, it’s to keep an open mind, as interesting people and experiences can often be found in the most seemingly ordinary places. That said, Nebraska has never been high on my list of destinations to explore. Its best feature had always been ultra-cheap hotel rooms, a place to get in late, get some sleep and leave early the next morning. It’s been an annoyance – a long, boring, state to pass through on the way to something better. I never thought that Nebraska could be beautiful or worth visiting. I was wrong. The Archway Museum chronicles the history of cross-country travel from the 1840s to the 1960s using multimedia displays, re-creations of notable events, and an audio tour via wireless headsets. The Oregon Trail, Mormon Trail, and California/’49-ers Trail converged at Fort Kearney, making this location an appropriate spot for a tribute to the American West. 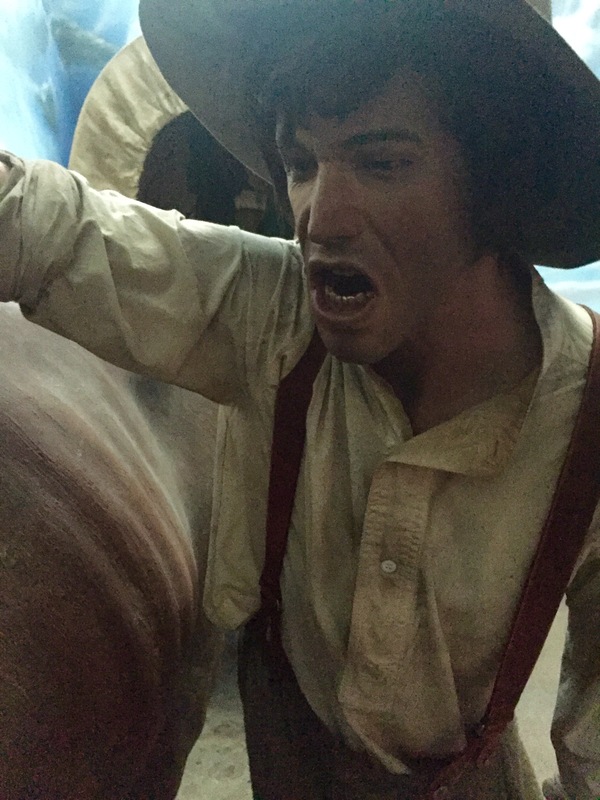 The perils faced by the pioneers were vividly illustrated with life-size dioramas, featuring mannequins with unusually detailed faces – said to be made from casts of real people. 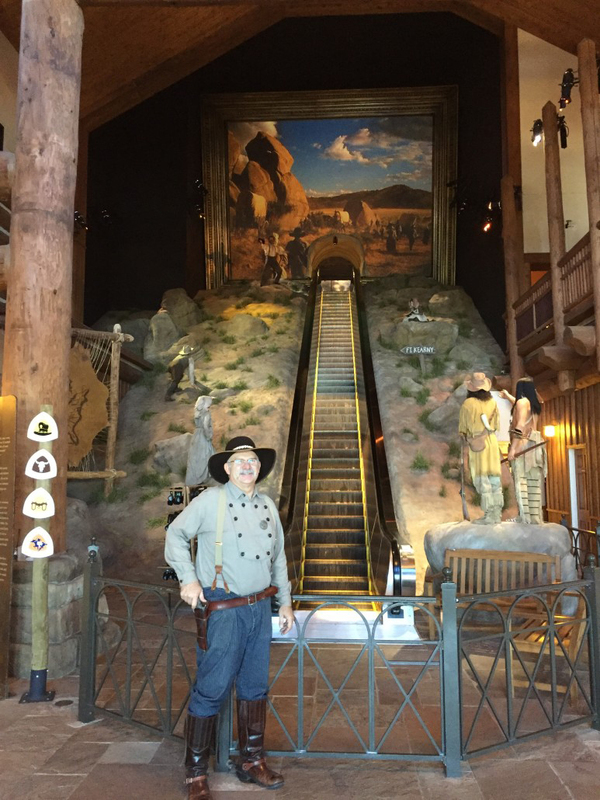 Scenes include a wreck of a Conestoga wagon with beautiful musical instruments, furniture, and even necessities scattered and abandoned due to the harsh conditions, the Mormon Handcart Expedition, the Pony Express, and a stagecoach close enough to touch and look inside. The presentation disabused me of all my romantic notions about stagecoaches. Despite their plush velvet interiors, stagecoaches were relentlessly uncomfortable, easily wrecked, and sometimes robbed. Only the coming of the railroad made travel safe and accessible to the masses. Overall, the Archway Monument is a well-designed museum, but it was immediately apparent to me that by and large, they only told one side of the story. The pioneers are the brave heroes, those with whom we are supposed to identify, but what about the Native American people, the Pawnee of Nebraska? They migrated there too, long before white Europeans. 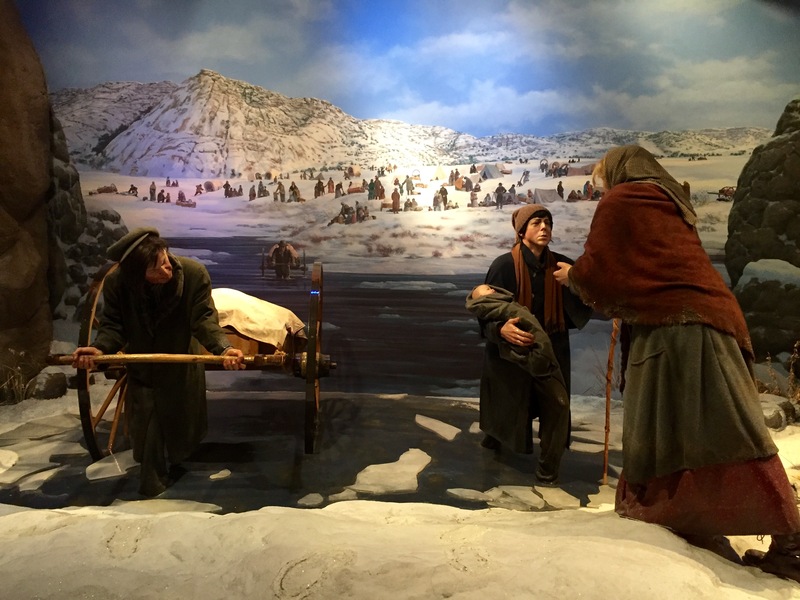 Why not begin the tour with the struggles they faced crossing the Bering land bridge and down into Nebraska? When the Europeans arrived, how were the Native Americans affected by this massive migration of foreigners into their land? There was little on the audio tour that shed light on their cultures and lives. Apart from a few large images with lengthy text to read, their stories are absent. The most important and relevant piece of Native American history was outside the museum – a Pawnee earth lodge that showcases their construction and design skills. It appears to be far more spacious, efficient, and comfortable than the nearby cramped sod house built in the style of early white settlers. I wanted to learn more about the Pawnee, and the museum’s lack of information is a glaring oversight. The upper portion of the Archway museum is a tribute to the development of our national highway system, particularly the Lincoln Highway. Brave travelers hopped in their Model Ts to venture down the first cross-country paved road, and a culture of roadside motels, all night diners, and offbeat tourist attractions sprang up around them. A 1961 Cadillac convertible, with a copy of Kerouac’s On the Road on the seat next to the driver, captures the romanticism of mid-century road trip culture. 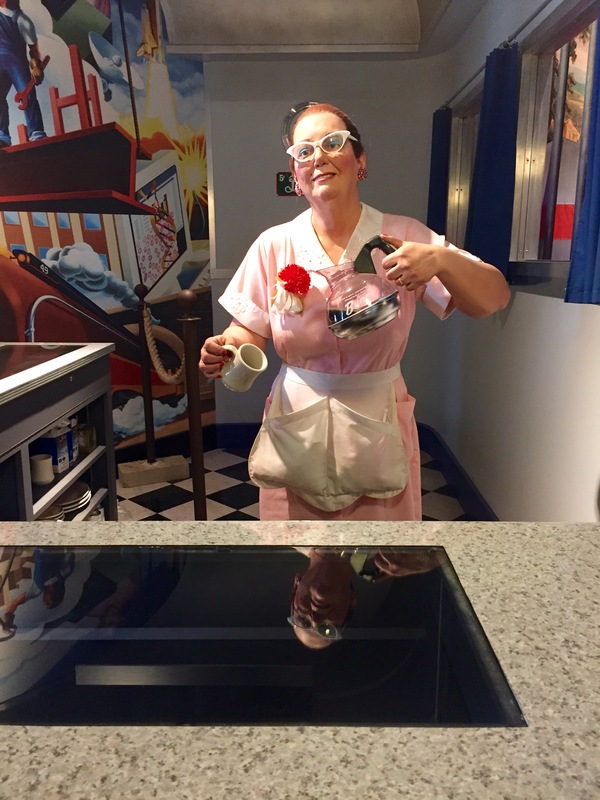 The tour ends in a diner where a waitress mannequin in classic 50s attire holds an ever-full pot of coffee, welcoming weary travelers. No trip to the Archway is complete without exploring the nearby grounds. A bridge takes you over a river filled with fish; you can purchase food in the gift shop or on the bridge to feed them. 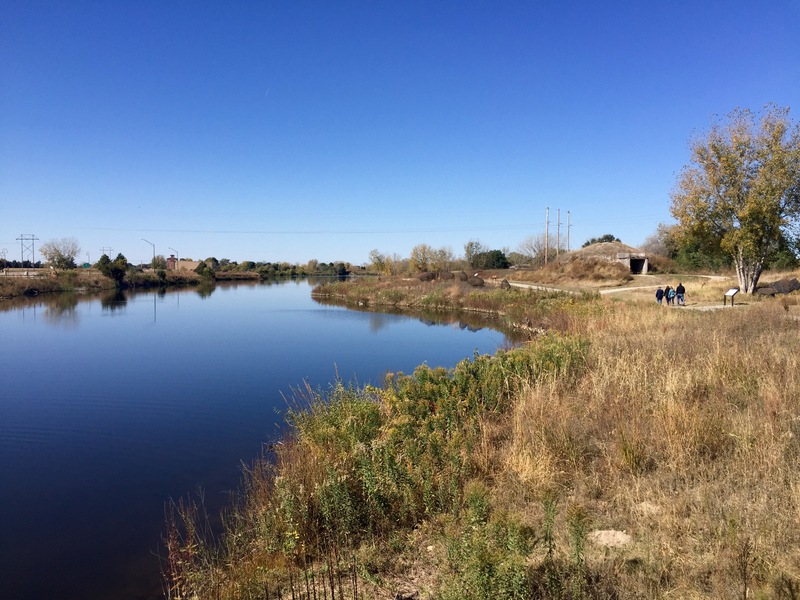 There is a paved walking trail that takes you past the two sod dwellings and along a lovely stretch of prairie. It’s a peaceful place to relax, walk your dog and take photos. I was there in October, but have been told that in March, the sandhill crane migration is spectacular. Be sure to check out the gift shop before you leave – it’s much better than you might expect. They have lots of jewelry at reasonable prices, most of it made by local artisans. The bolo ties are especially beautiful, and are made by one of the “cowboy” guides who welcomes you at the entrance. The gift shop staff can point him out if he’s on duty; compliment him on his fine work if you get a chance! The travelers depicted at The Archway are my spiritual ancestors, the pioneers whose struggles made it possible for me to travel in relative comfort. Their challenges put modern travel inconveniences in perspective; I may get frustrated with poor wheelchair access in some places, but I’m not facing death every day just to reach my destination. Our brave forbears left behind a wealth of history for intrepid road trippers to explore. It’s important that we remember them, and visit the places that mattered to them, especially those that are now off the beaten path and fading from memory. Throughout history, humans have been drawn to explore and travel. My wheel tracks follow in their footsteps, and I honor their sacrifices. The Archway is fully wheelchair accessible. The staff are very friendly and helpful in pointing out locations of elevators and other accessible features. There are two elevators, one to enter the tour portion of the attraction, where able-bodied visitors use the escalator, and another to get between floors within the tour. The bathrooms are accessible, and the gift shop has wide pathways compared to typical stores of its type. 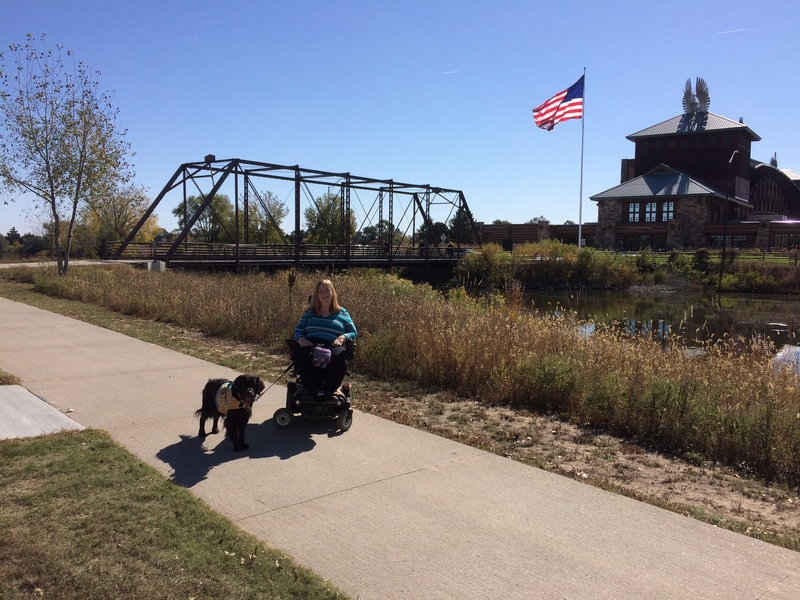 The bridge and walking pathway along the river and prairie are paved and easy to navigate. However, the paths to the sod houses are gravel and may be difficult for some wheelchair users. 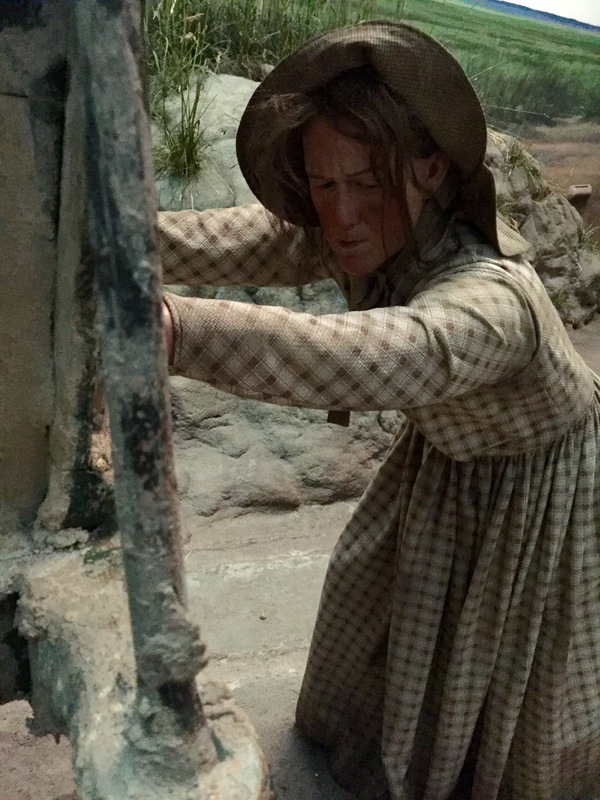 I was able to use the relatively flat path to the pioneer sod house, but was not comfortable with the steeper path to the Pawnee earth dwelling. I believe that this path could be improved by resurfacing and rerouting at minimal cost. Other than that, I was very satisfied with the accessibility, and recommend this attraction to people with physical disabilities. 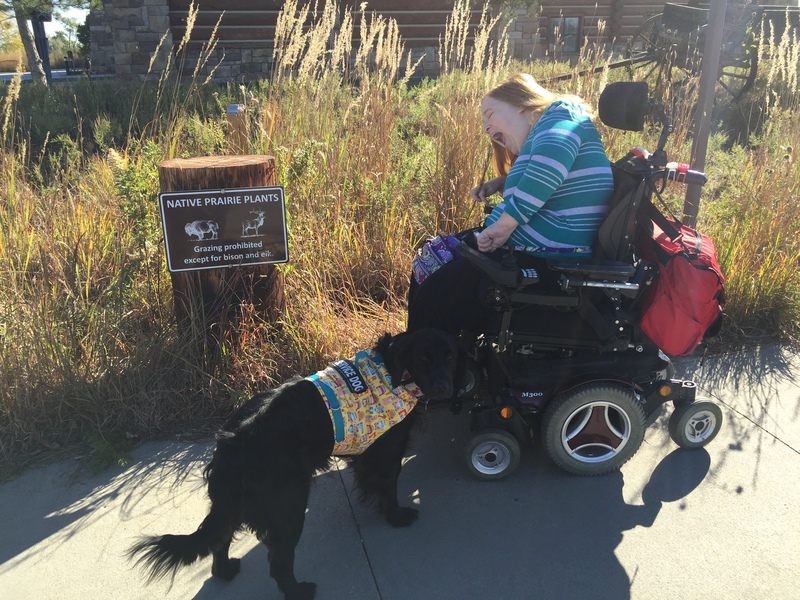 Aria the service dog was welcomed and treated appropriately by the staff. The multi-media tour features a realistic thunderstorm and wall sized videos that might be upsetting to some animals. However, Aria is fairly sensitive and was not bothered by any of the effects, so most service dogs with appropriate training should be comfortable in the attraction. I highly recommend visiting the Archway museum if you’re passing through Kearney, Nebraska. 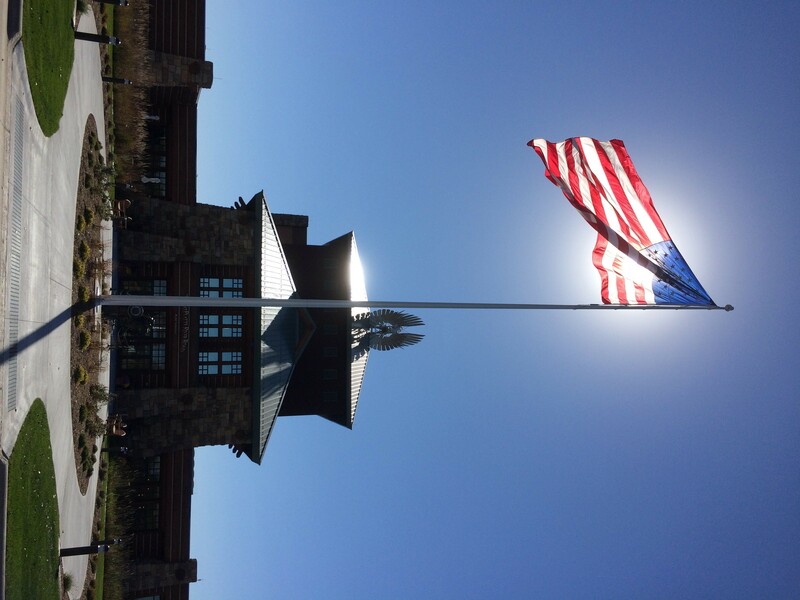 Please enjoy these additional photos from the museum and grounds.